Challenger bank Aldermore has appointed TVC Group as its content and social agency. London-based TVC will support Aldermore's aim of disrupting the market with an alternative approach to banking, and is creating a new brand campaign across social channels to connect with customers. 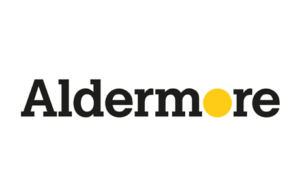 Aldermore, which has a sizeable marketing and digital presence in Manchester and regional offices around the country, recently reported a 32% jump in half-year pre-tax profits to £78m, having turned over £358m in 2016. Earlier this year it began to roll out a new brand and TVC is now behind a number of digital initiatives, including The Edit, a hub to curate content from customers, prospects and brokers. “We want to reinvent the relationship entrepreneurs, the self-employed and SMEs have with their bank and build a community of like-minded go-getters," said Pamela Brown, Aldermore Bank's marketing director. "We are committed to backing those people who want to seek and seize opportunities and this investment in our digital strategy, and particularly The Edit, gives our customers something of value they can engage with."